If your church visitor doesn’t fill out a connection card, how can you follow up with them? They have signaled that they wish to remain anonymous. Depending on the size of your church, you might not even know they have come. invite them to come to the next service. A church visitor welcome packet gives your guest something to review when they get home after their first visit. 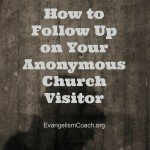 It provides a way for your anonymous first time visitor to learn something about your church after they have experienced your worship service for the first time. The packet can help anonymous church visitors become a little more familiar with your church structure, background, worship practices, and beliefs. It also provides a way to share low commitment next steps towards becoming a regular attender, if they choose to come back. 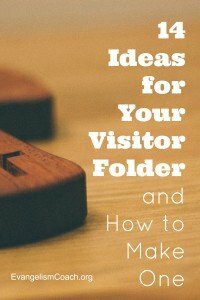 Hopefully, your awesome church hospitality will help them decide to come back, but your church visitor folder can give them information to consider once they get home. 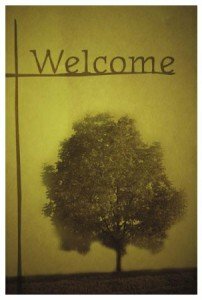 What do you put in your Church Visitor Welcome Packet? David – Our guests get a box that folds to look like a very small gift. Inside is info on all major ministries, easy ways to get connected to serving and groups, a welcome note from lead pastor, and a memory stick with a couple high energy videos about the church and multiple links to our website. Goal is to move them toward connecting and be memorable…thus the gift box look. Ron – We offer a stainless steel travel coffee mug filled with candy to new guests. This works well in getting them to fill out a card with contact information (95% effective rate). We also give a small group directory, welcome letter, CD recording of the service message, and offer free bibles, post dates for upcoming water baptisms, baby dedications, Discover Membership luncheons, an tri-fold color brochures of various ministries in the church. We have coffee, water, lemonade, bagels and sour cream, donuts etc specifically for Guests. The Congregation had other refreshment areas. We send a letter from the Pastor and call them within 24 hrs. Leslie – We include a coffee cup, a flash drive with a video about the congregation and it beliefs and activities. We include a brochure of activities and the schedule. 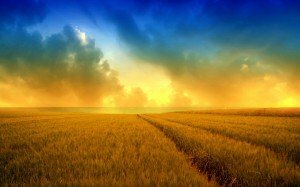 We invite them to a six session introduction to the congregation at the end of which they can decide to become as a member or not. Jennie – Our visitors packet contains a contact card, brochures about our various activities, a coupon for our bookstore, a free snack coupon for our cafe, and a flower. The flower is easy to find and our congregants make a point to greet people when they see this flower. We don’t make people stand up, just raise their hand, and we applaud them for taking time to visit. Our visitors’ table in the back of the sanctuary is a place to meet the pastor after the service and get plugged in right away. We always are in gratitude for our visitors and conscious of their experience. As a follow-up, our pastor calls each visitor a couple days after their visit. Jeanne – Our packet has a sheet welcoming them & tells about our church and what we believe. It also contains our vision and mission statement. It includes a worship CD, a teaching CD & our 10 year DVD. We have home bible studies we call Community Groups. The brochure listing the latest homes is included.It contains a church business card and info on our radio station. The service times, etc are also on the business card. We have a separate New Believer Pack with lots of info on how to receive Christ. Our church has free bibles in the chair seat backs for people to take & are encouraged to do so if they want/need one. Name, address, and phone number of the church. A welcome sheet aimed at Children (not the parents). Welcome Letter from the pastor. A What’s Next sheet – the one low commitment next step that a visitor can take to making new friends. 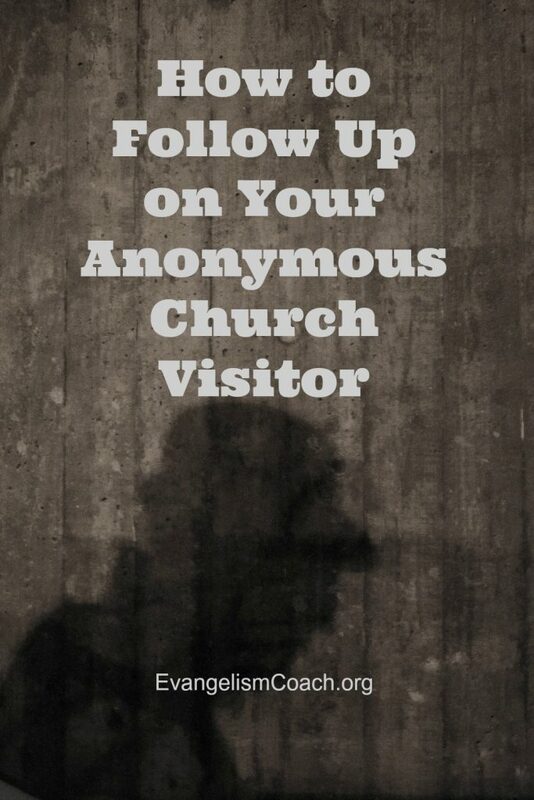 I found this sample church visitor packet on line (a download PDF) and like how it is laid out. 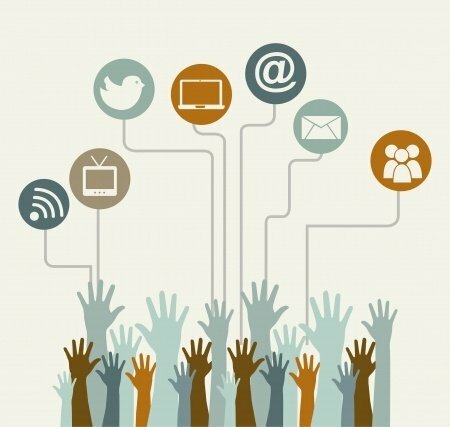 Please share your ideas on what you put in your church visitor welcome packet in the comment field below. Church welcome packets are a great marketing tool to put in the hands of your first time visitors, particularly those who stay anonymous. What sorts of things do you put in your visitor welcome packet /folder to give to first time church visitors? Add your helpful suggestion of ideas for church welcome packets in the comment field below. What do you put in your Visitor Welcome Packet? Justin – When we create Welcome Packets for churches we recommend including information about your beliefs, a list of ministries/opportunities your schedule of services, and pictures of your pastor/staff. Deborah – Hi Chris, We ask for info such as: Are you just visiting or looking for a new home church, or have a prayer request. Basic info, address, phone number etc. Would you like to be contacted by the pastor or home visit. Office hours, service and Sunday School times. Phone numbers etc. Lawrence – The gospel of John, welcome notes with the pastor’s and church leader’s address and phone numbers to contact in case of needs, the church activities and motto. A gift token and hope to see you again note with Jesus love you. Matthew – When I was at one church we made a DVD that had people if church talking about the missions vision and values of the church. We also showed pictures and videos of other things we did in the community. Christopher – Tracts, a contact information sheet, and a church events schedule for the current month. Nodela – We give our first time visitors gift bags that contain: visitors card to fill out and return, ministry brochure, church administrator business card, pen, pad, candy, monthly calendar, a thank you and invitation note card, prayer card written by my Bishop, a sermon CD and one of my Bishop’s books. On the outside of the bag I place a portion of our mission statement. I then follow up with more information about our ministry and then a “hello” note card for those that do not have a church home. Many have been receptive of this method and pleasantly surprised to receive it. Some have come back and purchased additional CDs or DVDs. Richard – I’m partial to the Pocket Testament League’s Gospels of John which have the plan of salvation on the first few pages. They’re especially good for New believers Packets. John – We used to put in a magnet with the church’s name and address and church times for the fridge. Some good candies (Wurthers), a $5 gift card to Tim Horton’s ( or Starbucks for some of you), and a church pen (only use good quality), and a simple short relevant tract. 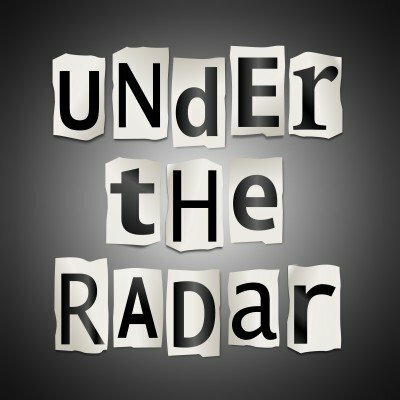 Nick – I wish churches would include the pastor’s theological positions so you can determine at the front end if you’re a good fit. Tom – Our packet includes the Folded Cover with Welcome on front, Church Name & Location, Inside: Information card for visitor to fill out and a Thank you card is mailed later for visit. Also, card inviting them to a Daily Telephone Scripture Message, A Bic Clic Stic pen. Many churches give imprinted pens to their visitors. Lisa – From the perspective of someone who has visited many churches, I appreciate when the packet includes a current church newsletter (so I’m aware of events), a statement of the policies of the church, a bulletin, a name tag, and a snack (one church I went to, Sts. Martha and Mary Episcopal Church in Eagan, MN, offered a snack of M & M’s, perhaps a play on its initials). 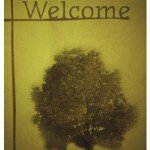 What sorts of things do you put in your church visitor welcome packet? Add your comments or ideas for church welcome packets below in the comment field. 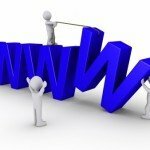 Church websites lead people to your door. I once visited a church website and couldn’t find an address, so I didn’t even know what state or country it was in. I visited another church website and couldn’t find the time of their Christmas Eve services, so we didn’t go. 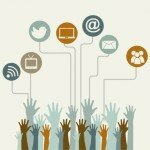 How is your church represented on your church website? What are these people like? Where is this church located? What does the building look like so I will recognize it? What is done for my children? Address and service times on every page. I subscribe to a email list of church administrators and this one has been highly recommended in that list. We compared Clover to Bridge Elements which had a cheaper upfront cost, however the Clover Church Site was much easier to work with and edit. They are also going to be rolling out an on-line giving platform we may also switch to. We use Clover Church Websites for the exact same reasons that you mention and absolutely love it. I have been responsible for many different websites over the years from designing them from scratch to taking over other people’s designs and Clover has made web site administration a joy again for me. Very easy to use. I have several different staff who have no web experience updating various content. I mainly make sure that it stays within our graphic standards and make changes to structure when necessary. Very good support from Clover. 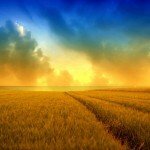 ­ Extremely helpful and friendly and responsive. But I’ve had very little to call them about ­everything just works.